Now that the winner of the 2012 CWA International Dagger has been announced, we can turn to the titles that are eligible for consideration for the 2013 competition. Karen Meek of Euro Crime has created her usual essential post of the books that qualify, and has included a GoodReads feed of the titles, also. Both of these are updated as more titles are published or announced, so check back regularly to the Euro Crime post or sign up to the GoodReads RSS feed for alerts of new books as the year goes on. There are several others that appeal to me (and some I shall not be reading), so I am sure I’ll be reading more than those listed above between now and March 2013. All my posts on the International Dagger. Petrona’s International Dagger page, which includes a list of all the past winners and a link to the lists of all the eligible titles from each year, with reviews of many of them. This entry was posted in Books, International Dagger, Reading by Maxine. Bookmark the permalink. If the CWA is bold enough to honor a novel first published in 1966, though not available in English translation until this summer, A Private Venus, by Giorgio Scerbanenco, translated by Howard Curtis, has to be among the odd-on favorites. Thanks, Peter. It is on the Euro Crime list & I have looked at a synopsis, but not sure it is my cup of tea. That’s what makes our genre so much fun. It’s really any number of genres, and the only things we can agree on are that my preferences are better than yours, and yours are better than mine. I say the CWA has a chance to honor a classic in Scerbanenco. I did visit the Euro Crime list after I posted here, and I was pleased to see Private Venus on the iist. I should look for the synopsis you read. Man, I love this book! Maxine – Thanks for this outline of the eligible titles. I’m hoping of course that The Black Path will do well. And of course as you say Last Will and Black Skies are strong contenders. Next on my list of these eligibles is The Blind Goddess. I’m very excited this is finally becoming available. The Blind Goddess is very good, I think, Margot. Pierced is excellent but I have not made it a favourite (yet) as it isn’t strictly a “crime” novel in the puzzle/solution sense, an element which to me has to be present in crime fiction, in some form, by definition. Maxine,I am also awaiting Deon Meyer’s -7 DAYS- maybe he can win in 2013. Yes, I’m eagerly awaiting 7 Days, too. He’s a great author and it is a pity he didn’t win the dagger with Trackers. I should have been clearer about Pierced, sorry. Yes, it is a crime/thriller. And I think it is great. But for me, too much of the plot (and reader emotional engagement) depends on the mystery of the fire – which is taking several books to solve. So it is not, to my mind, possible to judge each title on its own in the way that one can with, eg Theorin or Indridason, whose individual titles within a series are more self-contained. But you are right and I stand corrected- Pierced is a crime novel. Thanks,Maxine. I now see what you mean,and concur. Sorry Fred Vargas is not a thing, I mean the only one missing. Thanks Jose Ignacio! Fred Vargas is adored by some but not by me- I do read (some of) her books but she isn’t an instant buy. But she is refreshingly idiosyncratic in a crime-fiction landscape dominated by formula, that’s for sure. I’ve read a few of the books on your list. 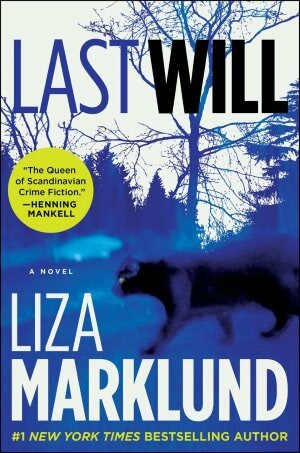 Liza Marklund I haven’t tried but I bought one of her books at Harrogate. 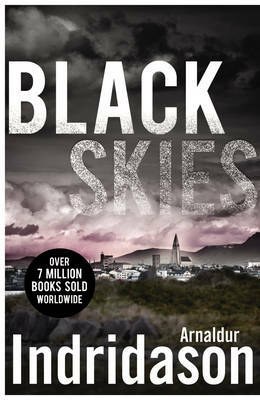 Well, I’ve just begun Black Skies and since Indridason is one of my favorite authors, I can’t wait to really dig in. Blind Goddess is on reserve at the library. I’d read several others in the top list of good books which have been read, but few in the “to be read” list. I may just order “Invisible Murders” as that one I want to read quickly. Just found out Denise Mina has a new book, although, it’s true, it’s not translated. But it’s out, a new Alex Morrow. I really liked The Blind Goddess, Kathy. Over here we are going to have to wait a while for some of the titles on my “will definitely read” list, as some of them are not published until next year 😦 . Worth the wait, though, I’m sure. All of these books sound great, especially the two you singled out. I haven’t read any of them as yet so I’m not qualified to say more — for now! Maxine: I look at your list and my TBR piles and my work files and my backyard and despair! There are so many good books to be read I doubt I will read more than 1 or 2 of the books you have listed. Many thanks for the update, Maxine. Like Bill, I’m feeling slightly overwhelmed on the TBR front! I have Arne Dahl’s The Blinded Man (a few chapters in), and recently finished Disgrace, which I didn’t think matched up to JAO’s debut, Mercy, at all. Very keen to read Indridason and Marklund, but … oh dear … when …? !